Ready to Build your own Game Plan? 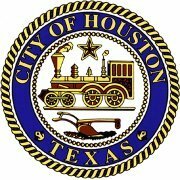 Below is the Transportation, Technology, and Infrastructure (TTI) Council Committee agenda – scheduled for Thursday, September 11, 2014 at 9:00 a.m., City Hall Council Chambers (901 Bagby St., 2nd Floor). Humberto Bautista, Assistant Director, General Services Dept. Municipal Setting Designation – Central Industrial Park, Ltd , 600-720 West 6th St.
Dale Rudick, Director, Public Works & Engineering Dept.